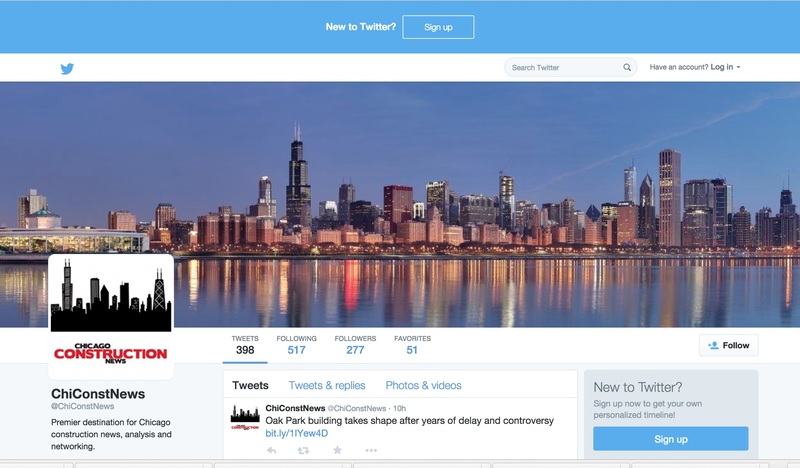 Our Twitter page for Chicago Construction News. It doesn't cost us anything for the page reference and the content is mostly repurposed from other sources, so it makes sense to have it -- but does it really do much for our (or anyone's) business? 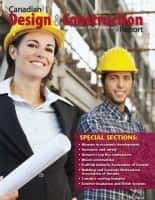 Our Twitter page for Chicago Construction News. It doesn’t cost us anything for the page reference and the content is mostly repurposed from other sources, so it makes sense to have it — but does it really do much for our (or anyone’s) business? 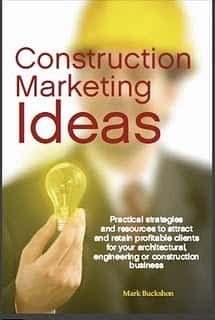 Brian Fraley writes in Constructionequipmentguide.com that Twitter has stumped much of the construction industry and the microblogging service has been underutilized in marketing. He may have a point, but equally, I didn’t see any of the empirical or even anecdotal information that would convince me that Twitter should be anything more than a limited engagement tool, unless you are already connected with a relevant community and can use it to maintain/expand your connection velocity. Nevertheless, he establishes some ground rules: Establish a strong profile, engage with your audience, and post frequently enough to maintain your presence. He also, wisely, points out that you should apply Twitter to nudge people to your website, where of course you will have more space than 140 characters to tell your story. As well, we’ve been repositioning relevant articles from different publications with the help of our social media manager. Personally, if I had limited time for marketing/planning, I would spend my time on other activities, like engaging and communicating with your clients (and, yes, that means you might be able to win some reputational credit by sharing positive feeds from your clients through your Twitter account.). Next articleFreedom, systematization, bureaucracy in construction marketing: How do you define the boundaries? Specialized construction industry social medium: Will it succeed?